What are Examples of Variables in Research? 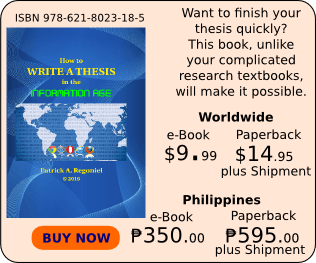 In the course of writing your thesis, one of the first terms that you encounter is the word variable. Failure to understand the meaning and the usefulness of variables in your study will prevent you from doing good research. What then are variables and how do you use variables in your study? I explain the concept below with lots of examples on variables commonly used in research. You may find it difficult to understand just what variables are in the context of research especially those that deal with quantitative data analysis. This initial difficulty about variables becomes much more confusing when you encounter the phrases “dependent variable” and “independent variable” as you go deeper in studying this important concept of research as well as statistics. Understanding what variables mean is crucial in writing your thesis proposal because you will need these in constructing your conceptual framework and in analyzing the data that you have gathered. Therefore, it is a must that you should be able to grasp thoroughly the meaning of variables and ways on how to measure them. Yes, the variables should be measurable so that you will be able to use your data for statistical analysis. I will strengthen your understanding by providing examples of phenomena and their corresponding variables below. Variables are those simplified portions of the complex phenomena that you intend to study. The word variable is derived from the root word “vary”, meaning, changing in amount, volume, number, form, nature or type. These variables should be measurable, i.e., they can be counted or subjected to a scale. The following examples of phenomena from a global to a local perspective. 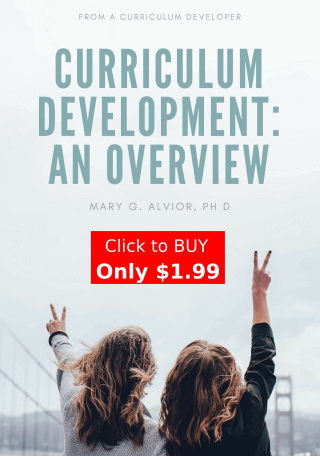 The corresponding list of variables is given to provide a clear illustration of how complex phenomena can be broken down into manageable pieces for better understanding and to subject the phenomena to research. Poor crop growth in the arid soil of a hill in an island. Notice in the above examples of variables that all of them can be counted or measured using a scale. The expected values derived from these variables will, therefore, be in terms of numbers, amount, category or type. Quantified variables allow statistical analysis. Variable correlations or differences are then determined. Which of the above examples of variables are the independent and the dependent variables? The independent variables are just those variables that may influence or affect the other variable, i.e., the dependent variable. For example, in the first phenomenon of climate change, temperature (independent variable) may influence sea level (dependent variable). Increased temperature will cause expansion of water in the sea. Thus, sea level rise on a global scale may occur. In the second phenomenon, i.e., crime and violence in the streets, the independent variable may be the number of law enforcers and the dependent variable is the number of robberies. I will leave to you the other variables so you can figure out how this works. How will you know that one variable may cause the other to behave in a certain way? Finding the relationship between variables require a thorough review of the literature. Through a review of the relevant and reliable literature, you will be able to find out which variables influence the other variable. You do not just simply guess relationships between variables. The whole process is the essence of research. At this point, I believe that the concept of the variable is now clear to you. Share this information to your peers who may have difficulty in understanding what the variables are in research. Previous Post4 Steps in Writing Your Thesis ProposalNext PostWhat are Examples of Research Questions? Thank you, I am struggling with trying to develop a conceptual framework for my future dissertation, this article was a lot easier to understand than my text books! In the last line of the second paragraph under “Difference betw indep and dep variables” you didn’t finish your edit, sooooooo take a look again, do you want to talk about crime or student success? And thank you for writing these simplified explanations, I’m ready to tackle my proposal again, with renewed confidence! Thank you for your feedback Randi. That’s very much appreciated. Clear, simple, easily understood! I’m so grateful! Thank you so much for explaining it in a way that a slow witted like me can comprehend. Hi, i really need your help mr. Patrick. May i know the IV and DV of the other examples you have given? So i can understand it more? Pretty please? Dear Ella, whether variables are dependent or independent depends on context. Basically, the independent variable is the one causing the dependent variable. It’s a cause-effect relationship. The dependent variable responds to the effect of the independent variable. That is explained in the latter part of the article. wow! information made simple! Finally I get a clear understanding of what variable means. I am also able to differentiate between the two. What a relief! Thanks for the explanation. I’ll really appreciate more if you can elaborate the roles variables play in research. Thank you. 1. 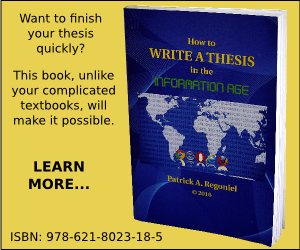 Should a dissertation always have independent and dependent variables? 2. Does a good dissertation always need quantitative variables? wow this is very helpful i am just strugling to write my thesis. The explanation is simply great. More grease to your elbow. Thank you Ogah. It’s great to know the article’s useful. Great explanation! easy to understand,this article can help me a lot for my report about conceptual framework and research study. Now I understand what variable means, as well as the difference between independent and dependent variable. Thank you so much! You’re right Gabe. Independent variables may be the dependent variables. The objectives of the study will define which one/s is/are the DV or the IV. In modeling ecosystems, if either of the variables could influence the other, these are called feedback loops. Thank you for this article. I really appreciate your efforts and your way of explaining it. Very simple but extremely meaningful. As I was reading the climate change sample, I was asking myself where are the DV and IV, and then whether the temperature would be listed under the DV or IV. I was going to ask that question but I am glad that Gabe asked it and you answered it perfectly. Great it helped you Bard. Thank you for visiting SimplyEducate.me and reading the articles. Thank you for such an easy explanation. totally brief and simply explanation. Thanks a lot, this helps understand variables better. For me you simplified it when you said Independent variable is the cause, I just say thank you. The explanation on DV and IV was simply fantastic. it helped defused the tension on my brain. thank you very much! Great to know your feedback y.y. barry. Thanks, for explaining how to use variables. My understanding is better. Welcome Issy. I’m glad to be of help. Thank you for reading. Someone else explain statistics in the same plain language. I am so pleased and impressed with this article that I am here redoing my framework for my dissertation. Most of the time tutors don’t explain this way and I think it is just great. Dear Martin, great to hear your feedback! I’m happy to know my article helped you in your research venture. Let’s discover things for a better world. Share the information to your friends who may have difficulty along this concern. Do I have to depict the two variables within the topic of a thesis? I am not quite clear about your question. If you mean that you should include the two variables in your thesis title, that will be desirable. It gives the reader an idea about what you are investigating right there in the title. Hello can anybody here help me to make a quantitative research title with 3 dependents variables…thank.you..
Dear Lovely, think first what you want to study about. I have been trying all these years to come out with research proposal for a doctoral programme with great difficulty. It’s like groping in the dark looking for a needle in a haystack. At a point I wanted to give up on the PhD programme. Your presentation has been fantastic. It wouldn’t have come at the right time. It’s a WOW! Very useful. Can I please have your email? I was considering to enroll in statistics course to equip me in my consultancy work (socio-economic studies), found this site very informative, I need to really study though. Thanks for visiting this site Annabelle. You need diligence to understand concepts that you can use in your consultancy. Thank you for visiting the site. hi! What if there are more than the independent and dependent variable? How are we going to describe the other variable? For example A influence B then B gives impact to C.. Please help..
hi help me my research is about personnel empowerment and local government quality service what will be my conceptual frame work ??? Just open the forum page (https://simplyeducate.me/forum) abdul and I will answer you there. My topic is : emplementing word processing in high school to improve students writing skills. Now, can you tell me what would be my variables? please. Dear Eliseu, so why do you think word processing can improve students’ writing skills? Do you mean spell or grammar checks in MS word? You need to define your variable, as this article defines it. I appreciate the effort made in explaining the key variables with some relevant examples. However, there are still more to explain with regards to other variables such as: moderating variable, intervening variable, extraneous variables, mediating variable and confounding variable. If these can be explained with good examples especially in social researches, then a ot will have been done. Dear Dr. Oyugi, you’re right. If you know about these kinds of variables then you are free to share them here. Thanks for dropping by. gud pm sir Patrick.. do IV and DV should be in a title. Dear Dennis, the title ideally should have those variables for easier understanding of what is discussed in the paper. Welcome Paul. I’m glad this article helped you. Can I ask you?what variable we can used to our thesis its all about Job Satisfaction? Plz help me to know the variables for that topic and to create a theoretical framework. Dear Ahpz, you already mentioned your variables, i.e., job satisfaction as dependent variable and the reasons why they are satisfied (these are your independent variables). This is really “wow” explanation. I had no ideas about the term “variable” in the writing of the thesis. Now I have some idea. Kindly help me to clarify my topic and its valuables . I intend to write on children’s right to education during emergencies. I want to see how the disaster risk management policy can be of importance in a particular country. Dear Eddie, your topic is too broad. See comment below. Dear Rahim, what do you mean by impact? Can you measure it? And what specific IT factor would you want to study? The point is, your study is too general/broad. Narrow it down further into something measurable. For example: IT might be knowledge of databases, and supply chain is time in moving the product. These factors are measurable. Am doing a sociology paper this are some of the instructions. Explain why the social pattern interests you, and how it can be seen as a variable. Identify another variable that you think is a possible cause and explain why you think it might be a cause. Identify a third variable that you think is a possible consequence of your first variable and why you think it might be a consequence. (In other words, you need to identify three variables—A, B, and C. And you will focus on two hypotheses: A affects B, and B affects C.) Do not use a hypothesis that was covered in the readings or in class. Also, avoid hypotheses you know (for certain) are true or hypotheses that are necessarily true. 3. The number of hours dedicated by parents in providing tutorial support. what do you think? is it okay and am lost in making 2 hypothesis. Please help!! Dear Ari. Social patterns refer to trends and people’s behavior. Is exam score a trend or behavior? Find a social trend or behavior that is interesting and start from there. For example, you can inquire on the increasing hours spent by students online and their lack of actual, face-to-face interaction with peers. The greater affordability of internet connection may be a cause. And affordability may be caused by higher income among families. That’s too broad Salamarh, what do you want to find out in the study? Why do you want to assess home ownership? 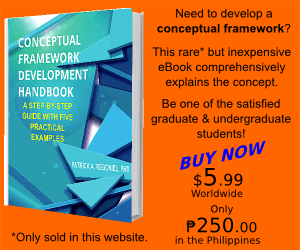 Have a clear purpose first that will aid you in coming up with your conceptual framework. Thank you so much. I only needed this. Great! Great write up!! Thank you immensely. Unfortunately, i still find it difficult writing a conceptual framework. My topic is: Attitude towards infertility screening among males. Here, i suppose that “attitude” is the independent variable and “screening” the dependent variable. That is, whether males will subject themselves to screening is a function of attitude. Please show more light on this. Well, that seems okay Enomen. Just how do you propose to measure attitude? I was in little confusion about difference among variables. Now my concept is clear! Thanks a lot Sir! My Proposal ahs been Accepted. ITs about Mentoign and coaching to reduce drop of learners in Workplac based learnerships in the hospitality Sector. I need guidance on Variables and like framework. My research is correlational, and I have three variables. I’m confused with my IV an DVs. My variables are: Religiosity, Subjective-Well Being and Depression. So, is Religiosity my IV and the rest are DV? I have a question, suppose I have a variable “Gender Diversity”. In my survey questionnaire I have three questions about it. So, when I want to check the relationship between “gender diversity” and “performance of the firm”, what shall I do to make a scale on SPSS? Like three questions make one variable but when checking this variable, which question shall I consider out of three or shall I combine all three questions and divide it by the number of questions to make representative variable? Note: I am using LIKERT Scale for this survey. I would highly appreciate if you can help me with clearing the confusion. I have tried several books but did not find any specific way to check how the variable should be considered. Dear Nasreen, my apology for the late reply. You need to define “gender diversity” and “performance of the firm” as variables of the study so I will be able to give advice. Hi po Sir Patrick. Sir ‘di ba po kailangan ng questionnaire ang dalawang variable? thank you for being generous those two words have been confusing me in research now i am a better person. My topic is the importance of learning other language towards inbound and outbound tourist. How do i identify the variables? thank so much for this article you’ve been really helpful. I need help with this research topic ‘Media production and production in America’ I’m finding it difficult in identifying the concept, construct and also I’m trying to develop three research questions and also find the three null hypothesis related to the topic. I would really appreciate if you throw more light on this. thank you. the remaining section 🙂 I care for such info much. Wwoow…. Thanks a lot you have simplified my understanding of variables in research. Your tutorial is candid and very easy to digest. I have enjoyed the piece. It has enhanced my perspective of variables. Guidelines for writing a good research report? Can you please give me what are the possible variables in terms of installation of street lights along barangay roads of calauan, laguna: an assessment? Pingback: Variables of the Study in the Research Paradigm: Which Ones to Include? This article is so much simple to my understanding. A friend of my referred me to this site and I am so greatful. Please Sir, when writing the dependent and independent variables should it be in a table form ? Good day. I don’t understand what you mean. But if your school requires that the independent and dependent variables be written in table form, I see no problem with that. It’s just a way for you to clearly show what variables you are analyzing. And you need to justify that. Hi Regoniel…your articles are much more guiding….pls am writing my thesis on impact of insurgency on Baga Road fish market Maiduguri. Dear Alhaji, just be clear about what you want to do. Your research question must be clearly stated before you build your conceptual framework. I am requested to write 50 variables in my research as per my topic which is about street vending. I am really clueless. Hey, I really appreciate your explanation however I’m having a hard time figuring out the IV and DV on the topic about fish kill, can you help me? What is the IV and DV of this Research topic? You can see in the last part of the above article an explanation about dependent and independent variables. Dear Maur, what you just want to do is to describe the challenges. No need for a conceptual framework. That depends on what variables you are studying. Are you doing a study on cause and effect? As I mentioned earlier, please read the last part of the above article on how to determine the dependent and independent variables.